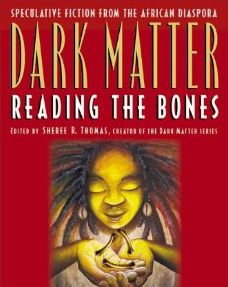 I always seem to have Dark Matter: Reading the Bones on my desk or table instead of sitting on the bookshelf. Hearing the voice of the woman who’d placed so many literary gems in my path would be a joy in itself. And then, she answered the phone and I was taken in by the power of Sheree Renee Thomas. “but I also wanted to capture the voice and the cadence of the people I grew up with. I wanted to capture the dialect and the sayings of the people who raised me.” It is really important to Thomas that she record these things so that our “mother tongue” will never be lost. With that, she tries to keep things balanced so that she doesn’t overdo it with the dialogue. And she is also very aware of the stigma that applies to black Southern voices more so than voices from other places that may seem exotic. 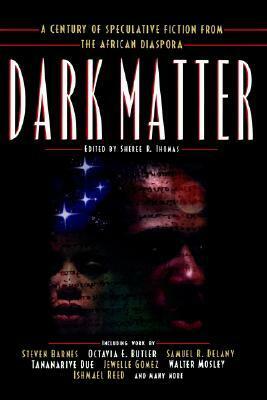 She noted that regardless of the space and time a story may be written in, black people are still going to be black. She explained that just because someone is placed into a sci-fi setting, they aren’t going to necessarily lose their native tongue and so that is why voice is so important to her when writing. Oh, yes. She had me hooked. And that’s how this magical mind was nurtured so that later, we’d get a story I loved. “River Clap Your Hands,” was in her head for a long time and came about when so much was going on. Her mother had gotten sick and she left New York to be with her. Around the same time, Hurricane Katrina hit. Dark Matter: Reading the Bones was up for the World Fantasy Award and she was supposed to go but just wasn’t feeling it because she was in fear mode. Everyone around her was in fear mode with all of these families involved in the natural disaster. These were the stories she could follow closely as she was going in and out of the hospitals with her mom. These were the images that she revisited after the fact, when things had settled. And that’s where the idea of there being a mermaid in the Mississippi came from. After a fabulous 2015 that let Thomas travel, work with amazing writers, and also have the most work of her own writing published in one year; Aqueduct Press will be releasing her new book, Sleeping Under the Tree of Life this year. 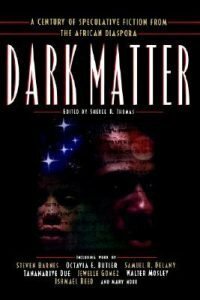 She is also co-editing a double volume of Obsidian for their 40th anniversary. “That’s going to be amazing!” And then there are other projects she can’t talk about right now. 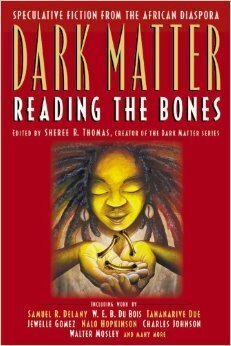 Many thanks to Sheree Renee Thomas for letting her works be what they are because they’re fantastic. Tuere T. S. Ganges, a South Jersey native, writes in Baltimore, Maryland. She was a June 2009 recipient of the Archie D. and Bertha H. Walker Foundation Scholarship to the Fine Arts Work Center in Provincetown. 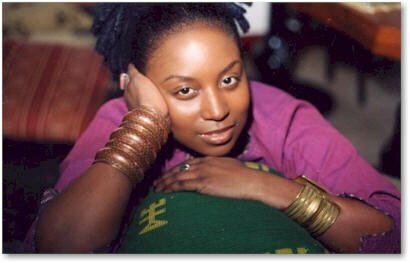 Her fiction has won prizes at the Philadelphia Writers Conference; and has appeared in the Shine Journal, Flask and Pen, Milspeak Memo, Mythium Literary Magazine, Wigleaf, Fiction Circus, and a Pushcart Nominated piece in Referential Magazine. Wilted and Other Stories, her collection of short fiction is available as an ebook on Amazon.com. When she isn’t trying to keep up with her teenaged children, she’s trying to keep up with her teenaged students. And when she’s had enough of that she entertains herself with countless games of Word Hero and livetweeting. Follow her on Twitter @tuereganges. First Post Launch Character Joins Street Fighter V Roster Today!